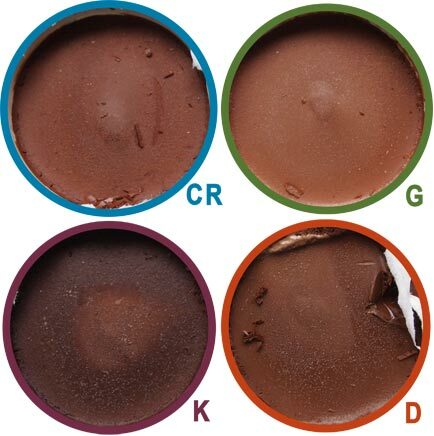 So Ghana Chocolate is definitely the lightest colored, in the middle we have Costa Rican Chocolate and then Dominican Chocolate*, and rounding things out is the distinctly dark Kalimantan Chocolate. I recognize all of these names except the last one, so off to wikipedia and Kalimantan is... the Indonesian portion of Borneo. Kalimantan: whoa, it almost does have a caramel finish to it. I can't say I've had a chocolate like that before. Lots of nice complexity. There is a bit of dryness (bitterness) to it but not in an unpleasant way. That little bit of bitterness just primes you for your next bite. Dominican: whoa, it does have hints of mocha! 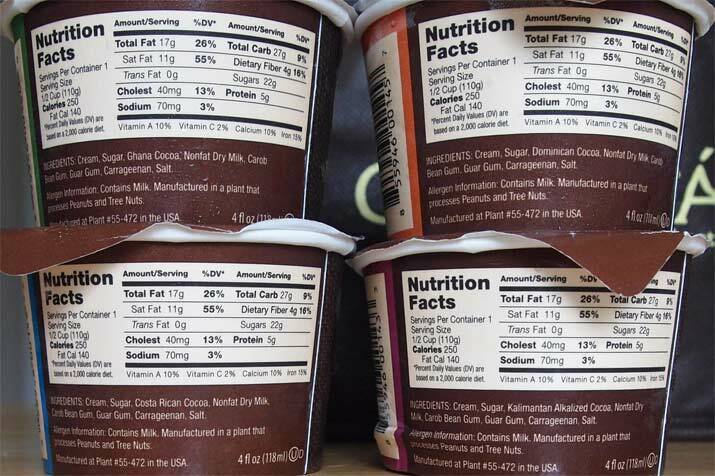 two for two on truth in labeling! it's a mild coffee complexity, nothing scary even for me. Cool. Oh, I should mention it's good ice cream too! I do adore a short ingredient list. Ok, Costa Rican is not my style, it's just too heavy on the coffee/bitter front for my liking. It also mentions caramel and butterscotch notes but it's in a burnt way. That was definitely not meant for me. Last up is Ghana and it should have "an essence of fudge". Hmmm, interesting. I don't know if my brain would have jumped right to fudge from the very first bite but that description sums it up pretty well. There is a deep, somewhat sweet richness to it that does remind you of fudge. Factor in a nice, full bodied texture and I won't argue with the fudge tag. I want to say there is a little lingering coffee note to it, but it could just be left over from the other two samples. I want to rank Kali first but at the moment it's the Ghana that I want to polish off first. So let's go Ghana, Kali, Dominican and then Costa Rican. Actually, let's bring in Mrs. Scoops for a moment. Ha! She's got Kali in first with Ghana in a close second. I told you it was close! I have to admit it, this was definitely fun and you really do need to open all of them at the same time, at least on the first run at them. I really expected them to blur together, but the fact they didn't is a testament to the quality and distinctness to this lineup. My mini world tour was fun and if you get a chance to go on it, I say go for it! --Wait! Before I go, I need to point something out. It's really nice to have a regional chocolate flavor that isn't a gimmick. For example, H-D Mayan Chocolate. They didn't go out of their way to get regional cocoa, they just added some cinnamon. 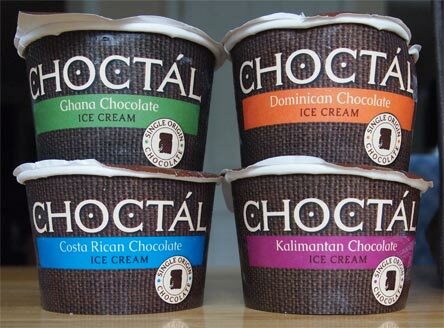 I applaud Choctal for what they did here. All I can think of when I see that name is Choctaw. Man would really like to see this site review some good ice cream. Ample hills/odd fellows ect.. I def think it's a cool and unique idea! If I could find the brand, I'd def try it! @Pc: sorry, not driving 3 hours to NYC or paying $15 a pint to have something shipped to me, I can find plenty of "good" ice cream in the freezer aisle. I appreciate that you review things that are usually pretty easy to find. Glad you don't do just regional and things that have to be shipped! I'd be less interested in this blog if that were the case!